Haitian Boxer Richardson Hitchins' dream of wining in the 2016 Summer Olympics in Rio de Janeiro Brazil has been shattered. Richardson Hitchins lost to American boxer Gary Russell. 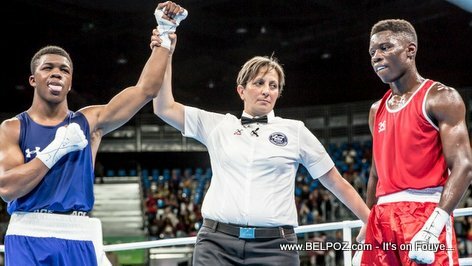 KREYOL: Haiti Olympique - Boxè Haitien Richardson Hitchins elimine nan jeux olympique Rio 2016 la... Kisa ou panse de sa??? Richardson Hitchins was elimiated from the olympics after the American boxer beat him 3-0 on points.